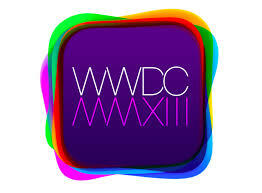 Apple have announced the dates for WWDC 2013 will be from June the 10th to June the 14th this year! It will be held in San Francisco at Moscone West and if you're looking to get a ticket then you'll have to be on the ball on April the 25th at 10AM PDT or 1PM ET! 'Improvement to sound capture with Zoe, Noise reduction in slow motion movie capture, Improved color reproduction and dynamic range (reduced over-exposure in non-HDR images) in certain conditions, Fix to display correct ISO in EXIF information when ISO settings are manually changed by the user, Improved system performance and stability' Via Slashgear. LG have announced that the company had a bit of a rough time in the last quarter as profit fell 22% in Q1 compared with the same period a year earlier. The slip was blamed on the stagnant TV market, where profit fell by about $80 million to $322.88 million. On the plus side LG's phone business is picking up, driven by sales of the Optimus G and Nexus 4 in particular with good sales expected to come from the G Pro too! Lg expects their new smart TV's with 3D and or 4K to give them a boost later this year! Some of you might have seen the hack of the AP twitter account which resulted in a tweet saying that the White House had been attacked yesterday! It seems that in light of that attack Twitter is working on two-step verification to make sure that that sort of thing doesn't happen again! Apparently it's in internal testing at the moment before a wider rollout happens. Nintendo have announced their latest financial results and things still aren't fully back on track for the guys from Japan. They're reporting that their net sales were down again, this time it was a 1.9% drop from the same time last year, but on the plus side the net income was a total of 7 billion yen, so at least they're not losing money any more! As for sales, the Wii U is struggling with 390,000 being moved since December, but on the plus side the 3DS is selling well, with 1.25 million leaving shops since December! Microsoft have signed up ZTE to their patent licensing rota too! That means that Microsoft now has deals with more than 20 companies making Android devices! We're not sure of the exact details of the agreement, but it might be a cross-licensing deal, but for the moment it's impossible to say! According to Digitimes suppliers are planning on releasing UltraHD screens with resolutions of 3840 x 2160p for Notebooks and Tablets this year! Sony have confirmed that the Android 4.1.2 Jelly Bean rollout for the Xperia P, Xperia go and Xperia E dual will start this week! And finally, for those of you in the UK, Which have today reported that Tesco are the best mobile phone network when it comes to pleasing their customers! Tesco's press release on the matter says that with a '72% overall score for contract, with Which? stating it “ticks all the boxes ...and it’s not hard to see why its customers are satisfied.” [Tesco] scored 71% for Pay as you go overall customer satisfaction.' Not bad results and obviously Tesco's use of O2's network is proving to be a popular mobile offering!